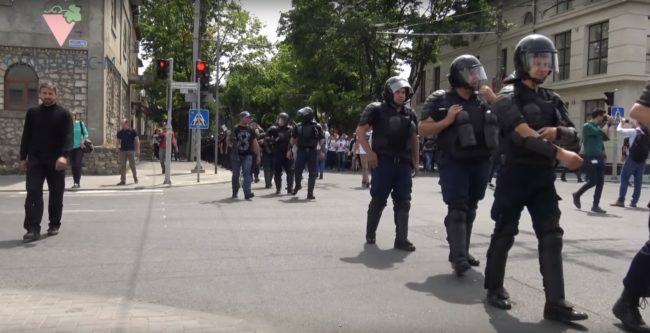 Police in Moldova fired tear gas at anti-LGBT protesters to keep them away from a Pride march. 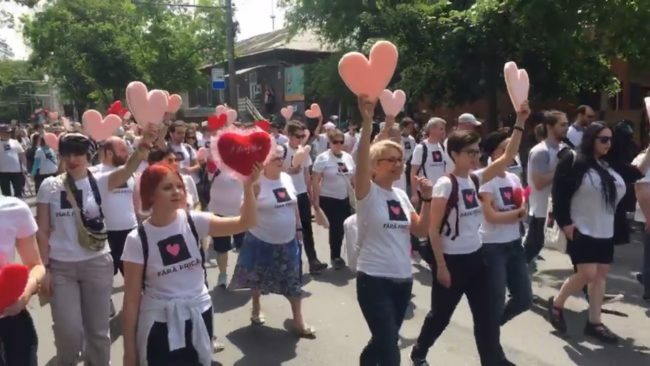 LGBT activists feared a repeat of violent scenes at the annual Moldova Pride solidarity march, which took place in the country’s capital Chisinau on May 19. Last year’s march was marred by clashes between anti-LGBT Orthodox Christian protesters and the LGBT activists – with the country’s President Igar Dodon publicly hitting out at the LGBT event. However, this year’s event enjoyed a significant level of police protection, preventing further clashes. Radio Free Europe reports that the protesters “were fended off by police who deployed tear gas,” as the Pride march progressed – with LGBT activists carrying foam hearts. The protection for the event comes after 20 embassies signed a statement of support for the LGBT march. The missions of Argentina, Belgium, Canada, Czech Republic, Denmark, Estonia, Finland, France, Germany, Ireland, Italy, Latvia, Lithuania, Netherlands, Norway, Portugal, Slovenia, Spain, Sweden, Switzerland, United Kingdom and United States signed the statement, which was issued on International Day Against Homophobia, Transphobia and Biphobia (May 17). “We note that the 17th LGBTI Festival ‘Moldova Pride’ is currently taking place. “As the values of tolerance and respect for diversity are fundamental to open democratic societies, we recognize the right of LGBTI-persons and their supporters to conduct the Solidarity March on 19 May 2018 peacefully. “Each day, individuals face discrimination because of their sexual orientation or gender identity. Our governments seek to combat such discrimination by promoting the human rights of all. “Everyone, including lesbian, gay, bisexual, transgender and intersex persons should be free to enjoy the rights and freedoms to which all individuals everywhere are entitled. A country-wide gay propaganda law was adopted for a period of three months in 2013, but was overturned as the country sought closer relations with the EU, which does not permit the legislation. 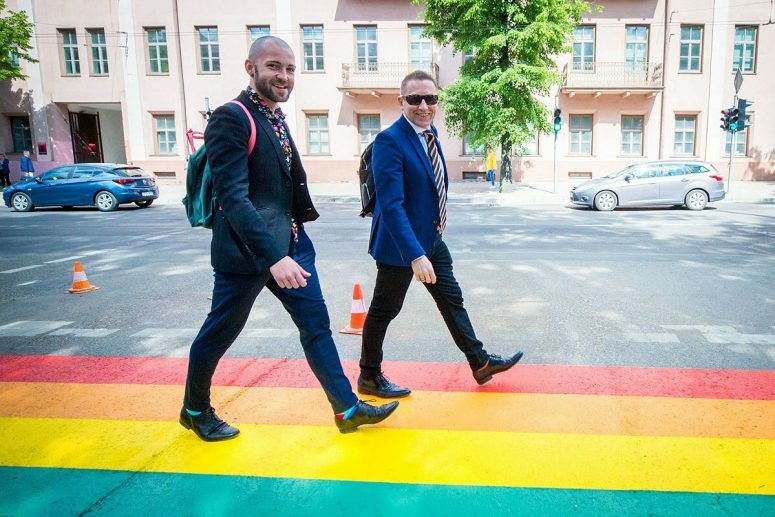 Speaking at an anti-LGBT event last year, Moldovan President Igar Dodon said: “I have never promised to be the president of the gays, they should have elected their own president.